Find five times the sheep to escape in the latest escape the room game by Funkyland: alice house 2 #05 wool and water. The door is locked and the room is full of christmassy puzzles to be solved before you can escape: escape 2015, the latest escape the room game by TomaTea. Find the magic elf in each stage to make the monkey go happy again in the last monkey go happy puzzler of the year by Robin Vencel: monkey go happy elves. After 10 years, the submachine point and click universe by Mateusz Skutnik comes to an end with the last episode, it's submachine 10: the exit. To celebrate the 245th birthday of Ludwig van Beethoven, today's google doodle is a little puzzle where you have to complete his compositions. Find five times eyeliner to escape in the latest escape the room game by Funkyland: girl's room #16 eyeliner. 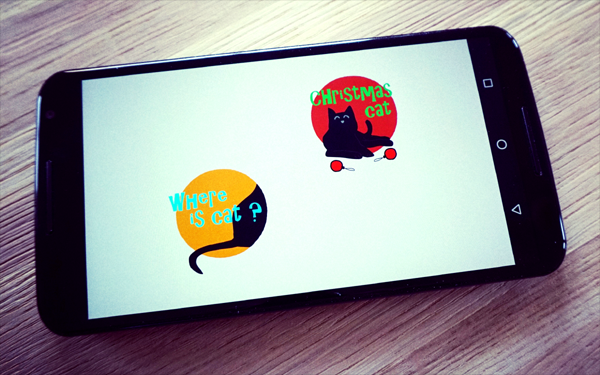 Hohoho, it's a fine tradition here at bontegames that I make a Christmas themed game every year so... ring those Christmas bells because... here's my new game Christmas cat! 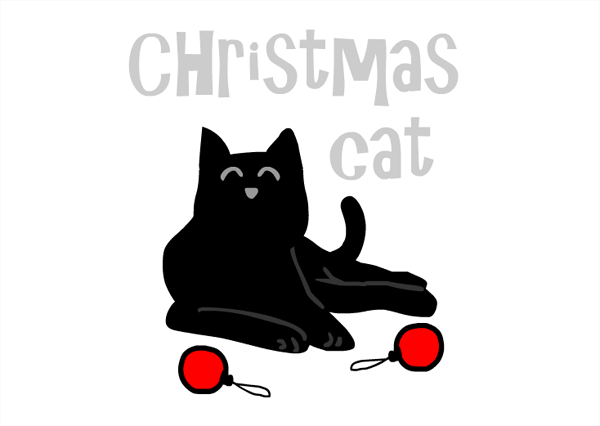 The Bonte cat jumps on top of the Christmas tree and sends the 20 red balls all around the house. Can you find all 20 balls by solving the puzzles? So enjoy my new games, spread the word and merry Christmas and happy puzzling! Light the Christmas tree to make the monkey go happy again in the new point and click puzzler by Robin Vencel: monkey go happy xmas tree. Solve all the riddles and collect all the pieces of the jigsaw once more to escape in the latest escape the room game by Amajeto: jigsaw santa escape. Find five times tweedledum and tweedledee to escape in the latest escape the room game by Funkyland: alice house 2 #04 tweedledum and tweedledee. Help the villagers and find the Thanksgiving dinner to make the monkey go happy again in the new point and click puzzler by Robin Vencel: monkey go happy turkeys. Complete the sequence by using logical thinking in the 40 levels of this puzzle game by Gamezhero. Another round of lighting the bulb puzzles by Ninjadoodle: can you light all the bulbs in lighty bulb round 2? Find five times false nails to escape in the latest escape the room game by Funkyland: girl's room #15 false nails. Remember my last game where is cat? that I created together with my kids for the #oujevipo4kids contest? Well here's a little update: the game was selected as a contest finalist, which means it will now be touring France (and maybe other countries in Europe) together with the nine other finalists on custom made arcade machines! The tour kicked off last week at the KulturMix festival in Dijon, where the jury price of the contest was awarded to the game Loup (congratulations 01101101!). You can see the arcade machines for the different games here and read about the arcade machine designs over here. 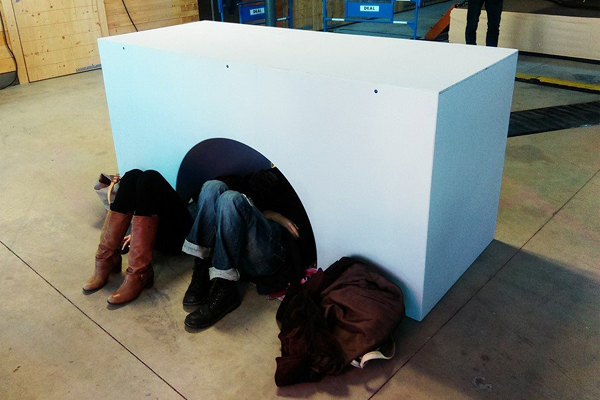 Below is a picture of the amazing mouse hole shaped arcade machine that the organisation has built for where is cat? but, where is the game? Solve all the riddles and collect all the pieces of the jigsaw once more to escape in the latest escape the room game by Amajeto: jigsaw puzzle escape 2. Use the cursor keys to slide the shapes and get the diamond out in each level of the puzzler spinin by David Tzur. The continuation of the surreal point and click adventures created by DrawManEater: nekra psaria 4. Find seven apples to escape in the latest escape the room game by Funkyland: fruit kitchens #27 apple red. Complete all 22 stages to release the bats and make the monkey go happy again in the new point and click puzzler by Robin Vencel: monkey go happy bats. Find the gentleman five times to escape in the latest escape the room game by Funkyland: alice house 2 #03 the compartment. You're in a room with a box: grandma bethlinda's variety box by Arthur DiBianca, but what can you do with it? Stack the colored chips to build the task stack in each level following the rules in the puzzler stacko by Kings Kollege. Stretch and squeeze the frame so it fits and reaches the indicated spot in the puzzler mutale by Jetberry. Solve all the riddles and collect all the pieces of the jigsaw to escape in the latest escape the room game by Amajeto: jigsaw puzzle escape 1. Find a clone gun, create your own clones and overcome deathly traps by destroying them in the puzzle platformer infinity inc by Dojo. Find five times powder puff to escape in the latest escape the room game by Funkyland: girl's room #14 powder puff. Find five times the red queen to escape in the latest escape the room game by Funkyland: alice house 2 #02 the garden of live flowers.